In the late afternoon when the sun is low, it casts a golden glow on the National Championship trophies in the offices of Jade Creek Arabians in Santa Yne	, California. 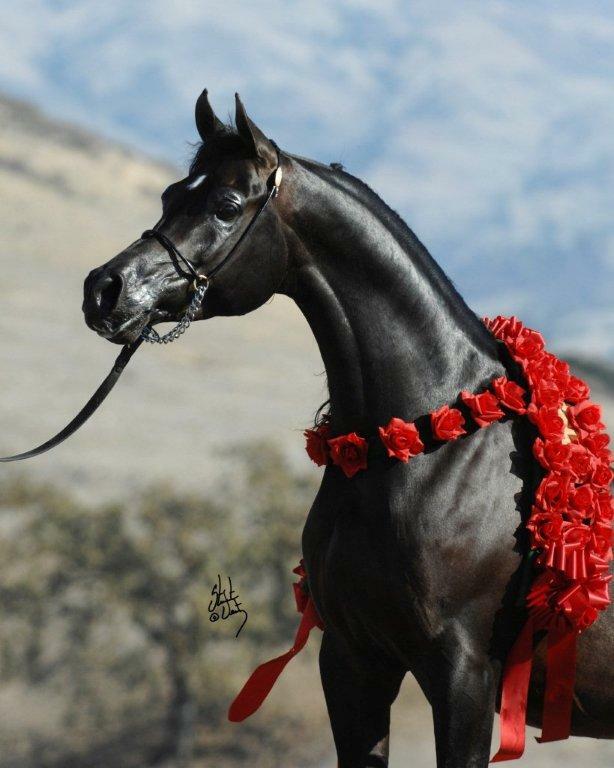 The light transforms the gleaming figures that are set against the bright red rose blankets worn only by the best of the Arabian horse breed. Among the growing number of these coveted trophies at Jade Creek are two that were earned by very same stallion - Brandon Bey JCA. Amazingly, both of Brandon Bey's trophies were won in 2005! 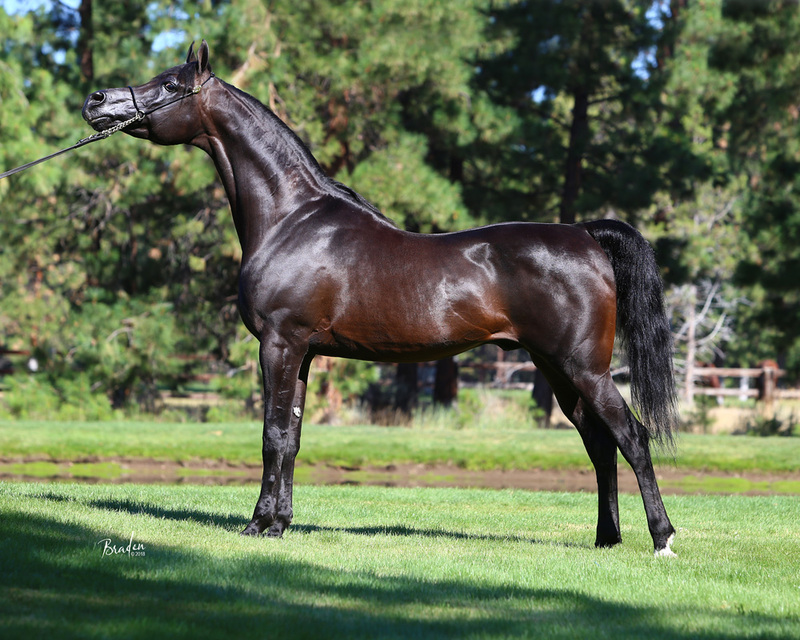 Brandon Bey won his first trophy when he was named Canadian National Champion Stallion, AAOTH. The second trophy was earned when Brandon Bey repeated the win and was named U.S. National Champion Stallion, AAOTH. 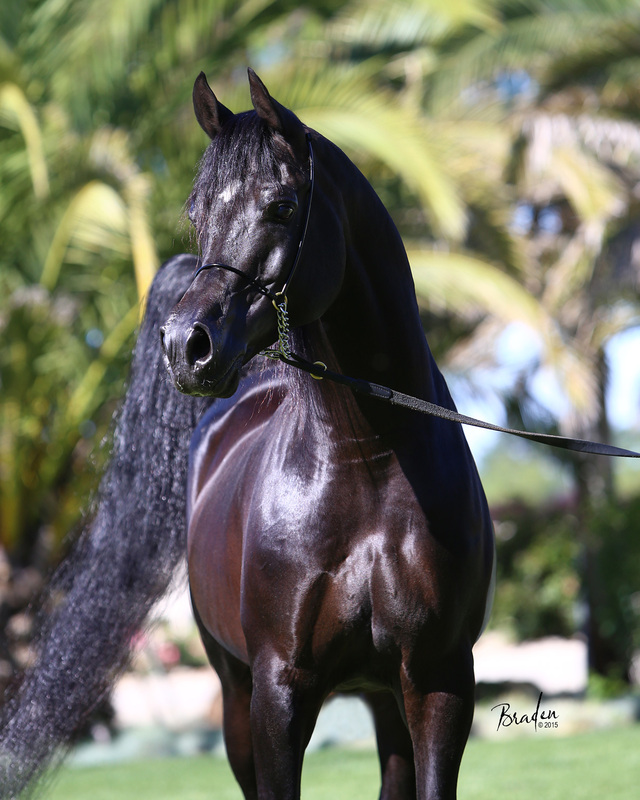 Brandon Bey JCA was shown to both national championship titles by his proud owner and breeder, Manny Lawrence, owner of Jade Creek Arabians. 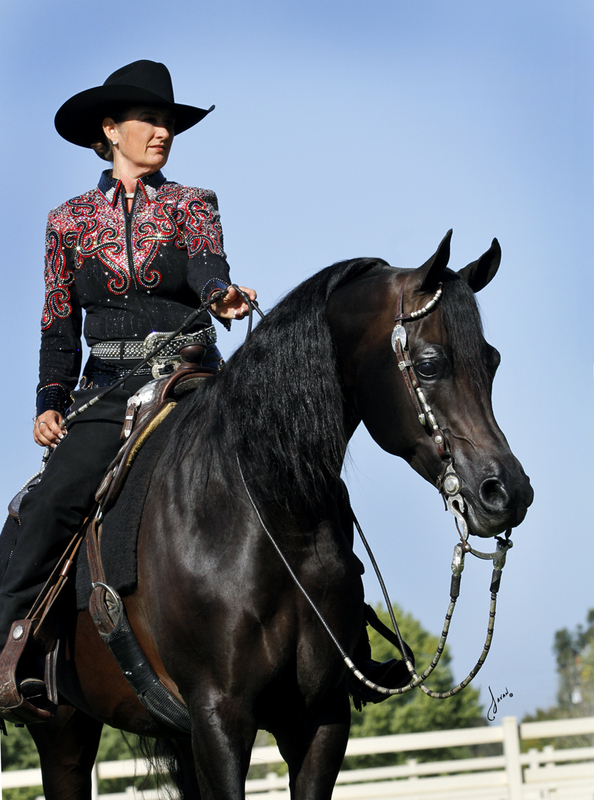 The excitement of showing a national champion is reserved for those with the courage and conviction to go into the show ring and compete with the best of the best. The thrill of actually owning a national champion is the powerful motivator for many who choose to compete. 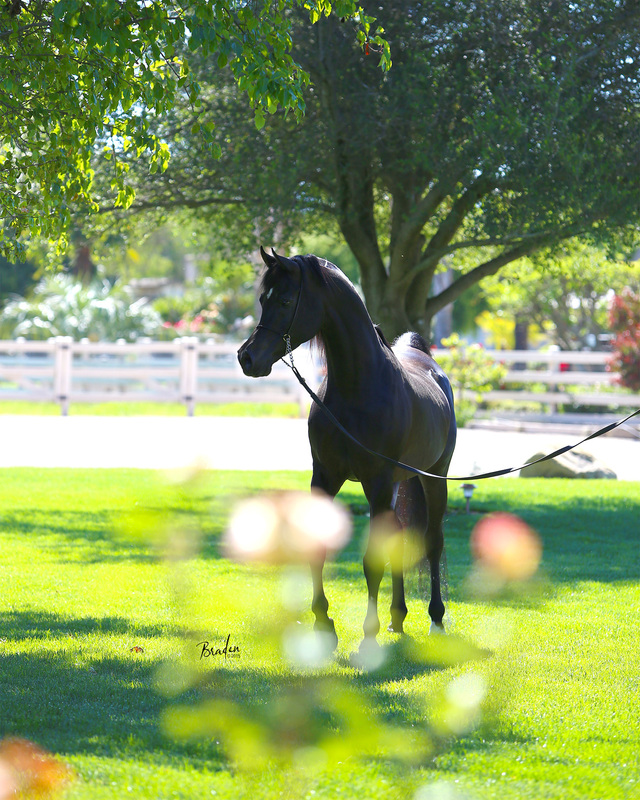 And, the almost unimaginable sense of pride in breeding a national champion is no doubt the hope and dream of every Arabian horse breeder. So, try to step into Manny Lawrence's shoes and imagine his experience of breeding, owning, and showing, Brandon Bey JCA when they were named National Champions! It's easy to understand why the judges selected Brandon Bey JCA as their choice for the national champion. He is a towering and impressive individual. 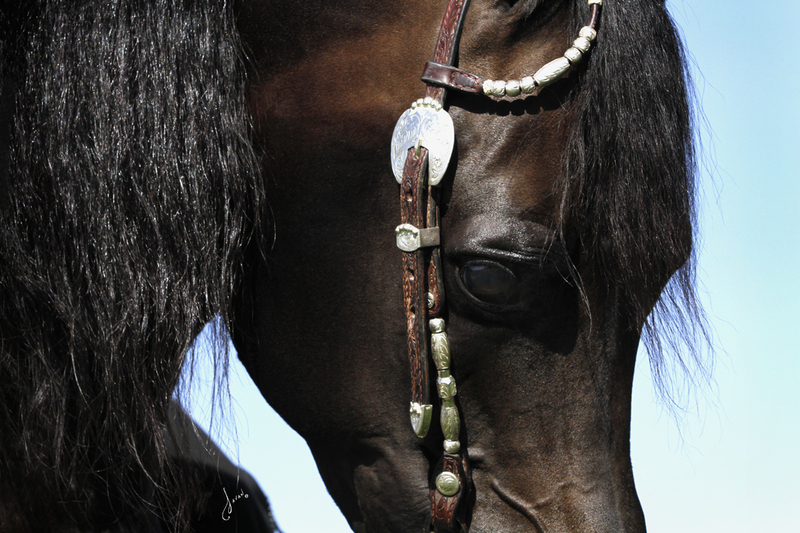 His black-bay coat gleams like satin, his heavy mane is glossy and he carries his flamboyant tail like a banner. His personality and character are portrayed by his carriage which is proud, exuberant and full of spirit. 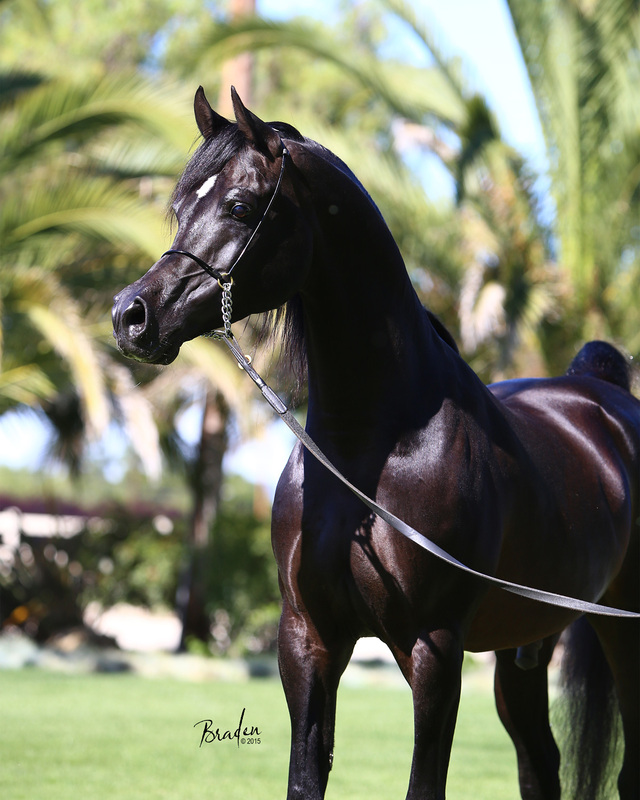 His silhouette depicts classic Arabian type with balance and refinement that are unusual for a stallion with his size. Upon closer inspection the judges would have noticed Brandon Bey's exotic face which is distinguished by his large black eyes, chiseled dish and expressive nostrils. He also has a wonderfully long, well-shaped neck with a fine throat that contributes to his overall sense of refinement. But his refinement in no way detracts from the sense of harnessed power that one feels when in his presence. 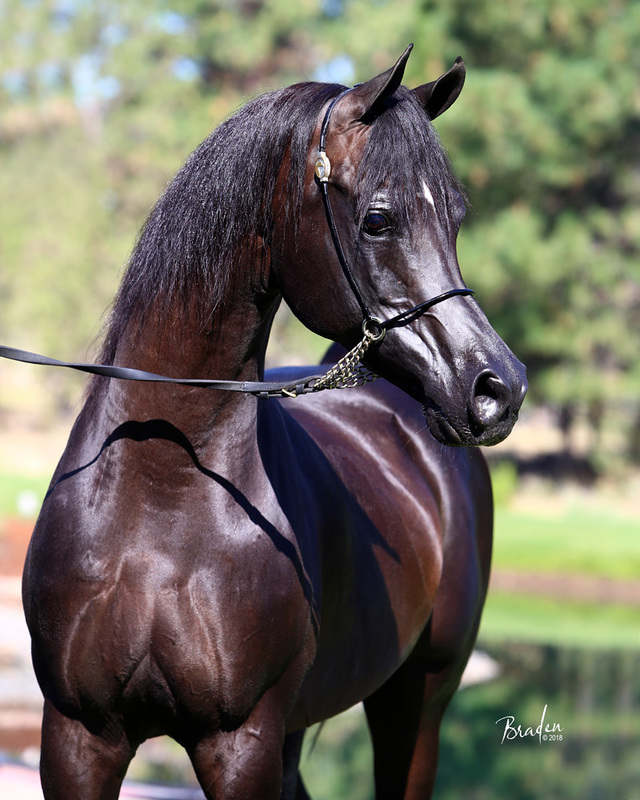 Brandon Bey JCA is the personification of the description of a “classic, desert-type Arabian horse.” He truly looks like an Adolph Scheyer painting of a Bedouin warrior's horse come to life. 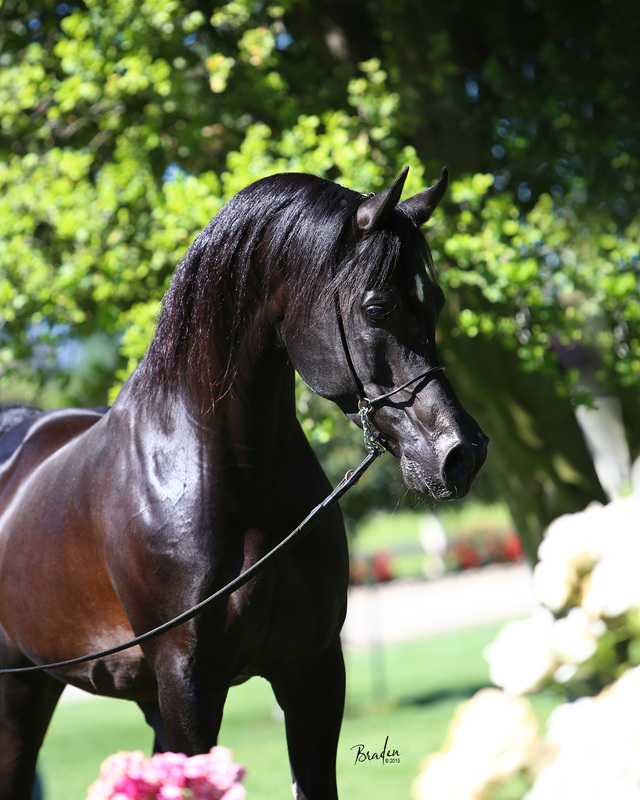 Brandon Bey JCA is an unusual stallion because unlike many others, his physical power is matched by the strength of his genetic makeup and, from a breeder's point of view both are important. Most if not all of the stallions in Brandon Bey's pedigree are champions, national champions or producers of national champions. 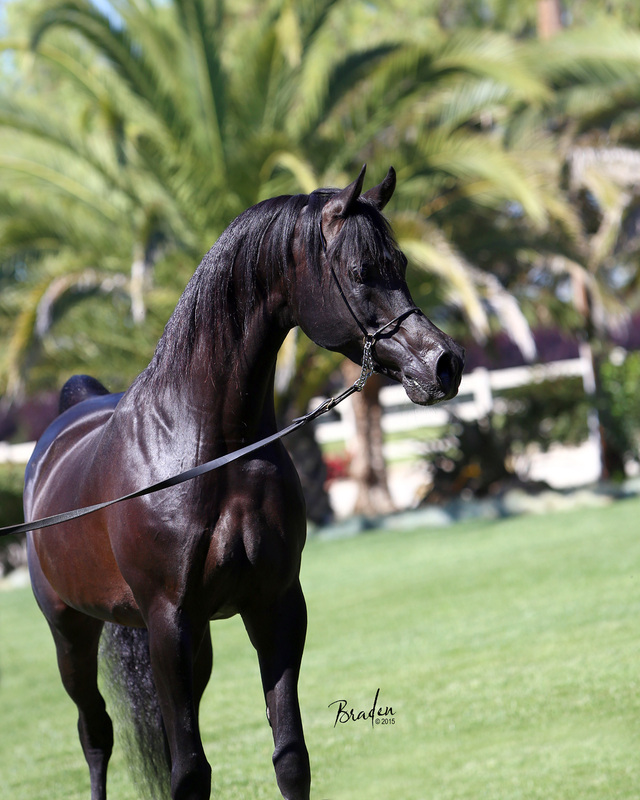 They were some of the most prolific and influential sires of the 20th century and include Bay Abi, Bay El Bey, Bey Shah, Fame VF, and Versace. Also included are the legendary sires *Bask, *Aladdinn, and *El Shaklan. 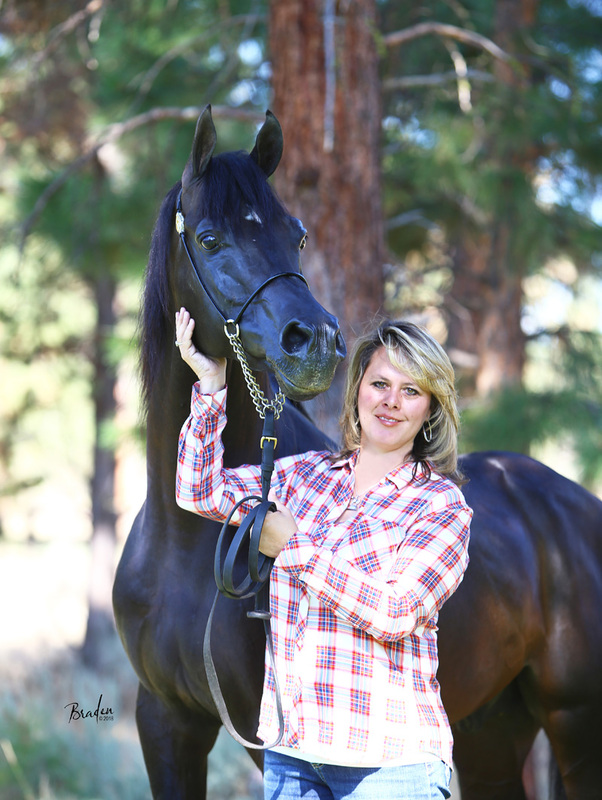 Many of the females in Brandon Bey's pedigree are respected as supreme broodmares, champion producers and have been the foundation mares for some of the most influential and important breeding programs in the world. Among the most notable mares are *Estopa, Star of Ofir, Raffoleta Rose,*Naganka, Lalage and Bandola. 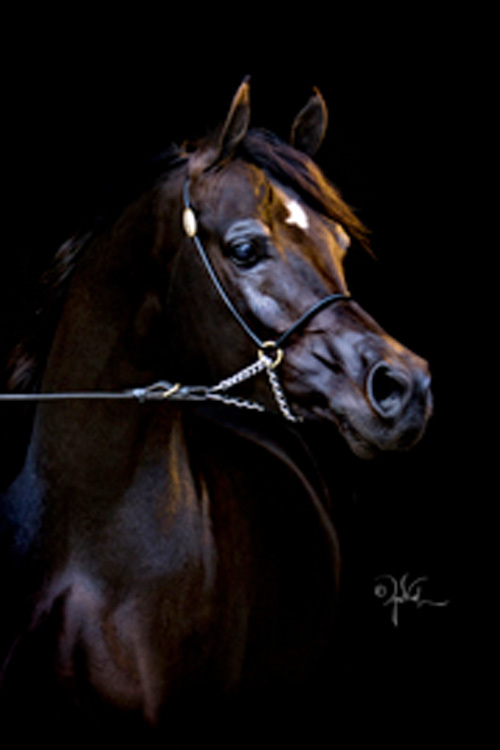 Whether Brandon Bey JCA is presented in a national show ring or simply standing in his stall gazing at the setting sun as it casts a golden glow over the lush green pastures at Jade Creek Arabians, there is an air of expectancy - it seems that he is waiting for his chance to fulfill his destiny as a sire of greatness too. 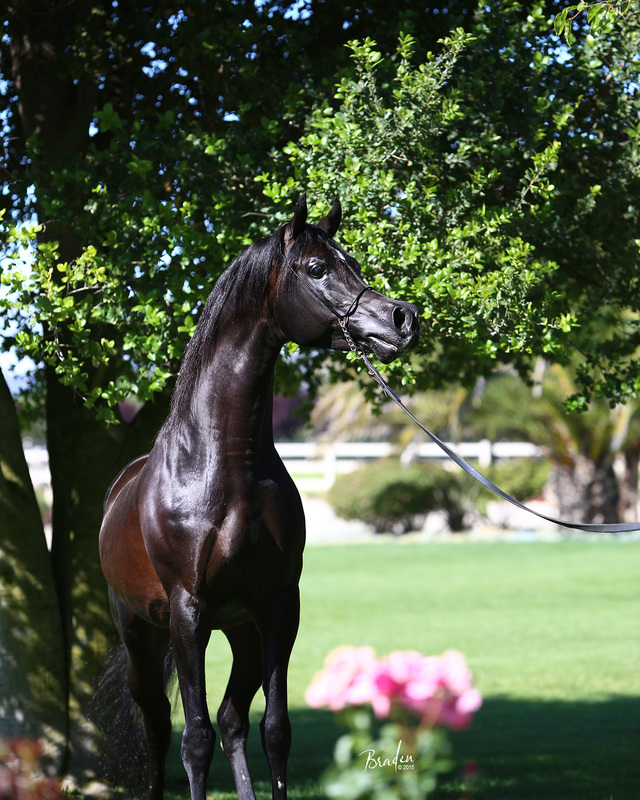 Brandon Bey's first foals were born in 2005 and they show the promise of his ability as a sire. The lovely filly Olivia Rose JCA, sired by Brandon Bey JCA and out of Fforever Rose (Khemosabi x Chantilly Rose) is a wonderful example. The excitement is mounting as the next foaling season approaches. Canadian National Champion Mare and Polish National Champion Mare, *Fallada (Monogramm x Fanaberia) and the exquisite mare *Egzonera (Monogramm x *Egzotyka) are both expecting foals by Brandon Bey JCA via embryo transfer.